The American Bulldog Pitbull mix proves that dogs should never be judged by their breed. Also called a Bully Pit, this sweet, loyal hybrid dog unfortunately inherited the negative reputation of its parents: the American Bulldog and the American Pit Bull Terrier. We’re setting the record straight and debunking the top 5 myths about this misunderstood crossbreed. 1. The American Bulldog Pitbull mix is as dangerous as it looks. How big does an American Bulldog Pitbull mix get? 2. The Bully Pit can’t be trusted around kids. 3. Bully Pits are impossible to train. 4. American Bulldog Pitbull mixes need a home with plenty of space. 5. Taking care of an American Bulldog and Pitbull mix is difficult. Is the Bully Pit a healthy breed? Where can I find an American Bulldog and Pitbull mix for sale? These dogs get a bad rap mostly because of their appearance, which can be intimidating. With the Pitbull Bulldog hybrid, though, looks can be deceiving. This crossbreed doesn’t grow to be as tall as the American Bulldog, but its body tends to be stocky and heavy. Most Bully Pits are medium-sized, with bodies that are muscular and compact. A full grown American Bulldog Pitbull mix stands at 13 to 21 inches (33 to 53 cm) high and weighs as much as 68 to 120 pounds (31 to 54 kg). The Pit Bull gives these hybrids their longer muzzle. Pointed ears and a large mouth complete the face of a Pitbull Bulldog mix. Like their parent breeds, most Bully Pits have smooth coats of short, fine hair. Their coats come in a wide variety of colors, including black, brown, white, tan, cream, grey, red, and brindle. The appearance of a Bulldog Pitbull mix also depends on the specific parent used in the breeding. A Johnson American Bulldog Pitbull mix, for instance, may have the wider chest and boxier head of a Johnson American Bulldog. Likewise, an American Bulldog Red Nose Pitbull mix inherits its unique coloring from a red nose Pit Bull. This crossbreed’s goofy smile alone can dispel any misconceptions about its temperament. 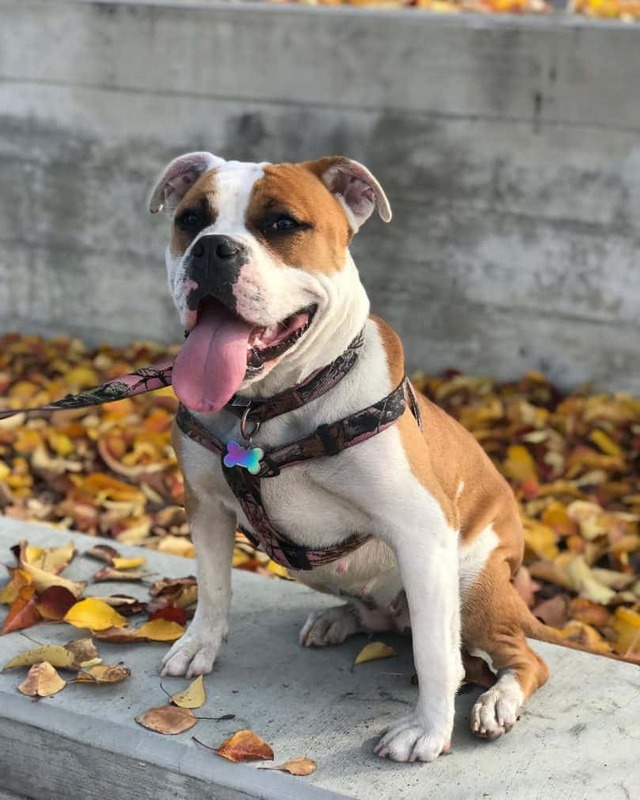 As long as they receive firm obedience training and socialization at an early age, Pitbull Bulldog crosses will prove themselves to be friendly dogs who love to have fun, whether with their family or with other dogs. American Bulldog Pitbull mixes make for sweet, affectionate pets that enjoy being the center of attention. Don’t be surprised if your Bully Pit loves making you laugh and entertaining you with his antics. One distinguishing trait of the Bulldog Pitbull mix is its loyalty to its pack. This crossbreed tends to be highly protective of its family members, using its deep voice to warn you about something suspicious in your home. Its natural protectiveness and loyalty, combined with its intimidating, strong physique, make the American Bulldog Pitbull mix one of the best guard dogs you can get today. Due to their energetic, playful nature, Pitbull Bulldog mixes love being around children, especially those they grow up with. Like the American Pit Bull Terrier, the Bulldog Pitbull mix is one of the best dog breeds for kids. These patient dogs have a high threshold for pain, and they won’t be bothered by curious kids pulling on their ears and tail. A properly trained American Bulldog Pitbull mix will also be protective of the kids in its family. It understands that your kids are higher up on the totem pole of the pack’s hierarchy, so it’s prepared to protect your kids from any harm. The key to properly training an American Bulldog Pitbull mix is having the right attitude. The Pitbull Bulldog mix has a confident, assertive personality, so it will listen only to a person who has a similar demeanor. If you want a Bully Pit of your own, you’ll need to be able to establish your position as the dominant alpha of the pack. 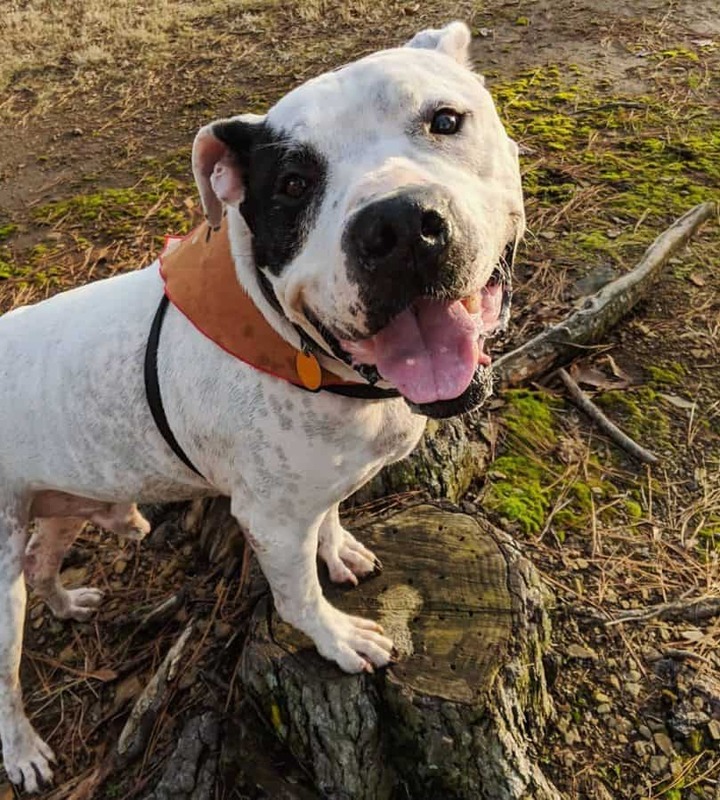 With the right owner, American Bulldog Pitbull mixes will prove to be intelligent dogs who can quickly follow commands and adopt positive behavior. They’re eager to please and are comfortable with being trained specifically for your family’s protection. You can start training Bully Pit puppies as soon as they’re 8 weeks old. At this age, they’re highly receptive of habits and behaviors that you want them to learn. By training your Pitbull Bulldog mix from an early age, you can help your dog understand your role as the alpha and its position in the pack hierarchy. This crossbreed benefits from early socialization and leash training, and you can start by walking your puppy around the neighborhood so it can get used to being around other people and dogs. Of course, being a dominant alpha doesn’t mean using punishment when your American Bulldog Pitbull mix misbehaves. Instead of punishing your dog, use a reward system and positive reinforcement when he follows your orders. These hybrid dogs have energy to spare, but that doesn’t mean they’ll be happy only in homes with large backyards. Bully Pits will thrive in an apartment or condominium as long as they get sufficient exercise every day. The Pitbull Bulldog needs 60 to 90 minutes of moderate exercise daily. It will love being your running buddy or going with you on leisurely walks around the neighborhood. They’ll also enjoy going to the dog park or to places where they can interact with other dogs and people. 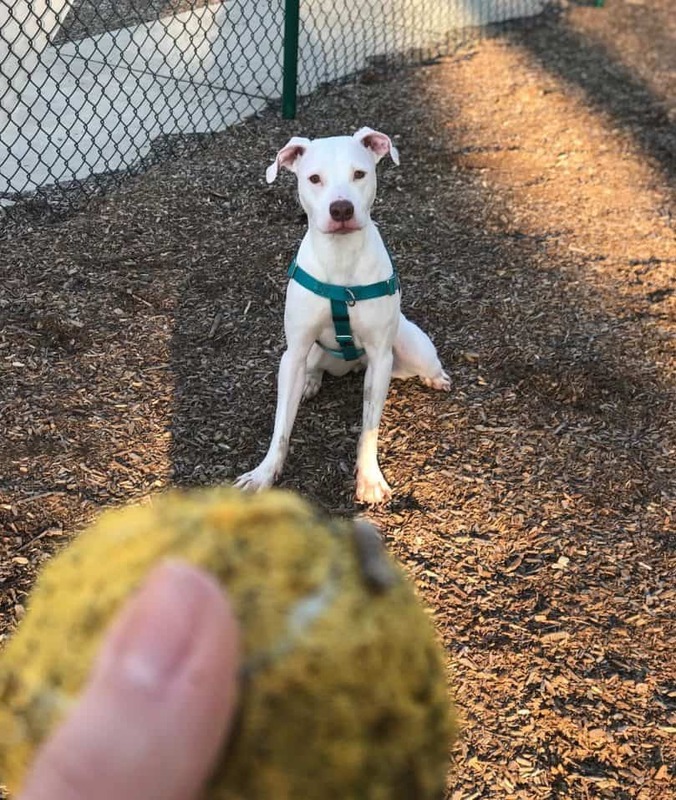 Mental stimulation is crucial for the American Bulldog Pitbull cross, so make sure to play brain games like hide and seek and treasure hunts with your dog. Like most dogs, the American Bulldog Pitbull hybrid can get frustrated or destructive if it doesn’t get enough exercise. If you do have a backyard, make sure to keep your Bully Pit safe by installing a fence that’s at least 6 feet tall. Like its Pit Bull parent, the Pitbull Bulldog mix is an accomplished jumper. With the American Bulldog Pitbull mix, shedding isn’t a problem. These dogs are low shedders that don’t need to be brushed frequently. A thorough brushing once or twice a week is enough to keep their coats shiny and healthy. You won’t even have to bathe a Bully Pit often since frequent baths will strip their coat of natural oils and may cause skin irritation. You can use a damp washcloth to wipe down the Pitbull and Bulldog hybrid every week or two to get rid of any debris in the coat. This hybrid’s teeth and ears should also be checked and cleaned at least once a week to prevent infections. Like its parent breeds, the American Bulldog Pitbull cross tends to gain weight easily. It’s important that you limit their daily food intake. Feed your Bully Pit 2 ½ to 4 cups of dry dog food every day to help keep him at a healthy weight. Make sure to divide this amount of food into 3 or 4 meals throughout the day. Feeding the American Bulldog Pitbull mix multiple meals a day helps prevent gastric torsion, a serious condition that’s common in deep-chested dogs. Dog food that’s best for the Pit Bull Terrier will also work best for the Pitbull Bulldog’s diet. This dog food contains the nutrients that the crossbreed needs to build strong muscles and joints, keep its energy levels up, and maintain overall good health. The average lifespan of an American Bulldog Pitbull mix is 15 years, so you can expect to enjoy many years of companionship with this dog. However, this crossbreed is also predisposed to certain genetic conditions, especially those that affect its parent breeds. Both the American Bulldog and the Pit Bull Terrier are prone to hip and elbow dysplasia, so your Bulldog Pitbull mix may be prone to these joint conditions, too. This hybrid dog is also vulnerable to skin allergies and infections because of its short coat. Due to its Bulldog heritage, the Pitbull Bulldog cross may also be prone to respiratory problems. 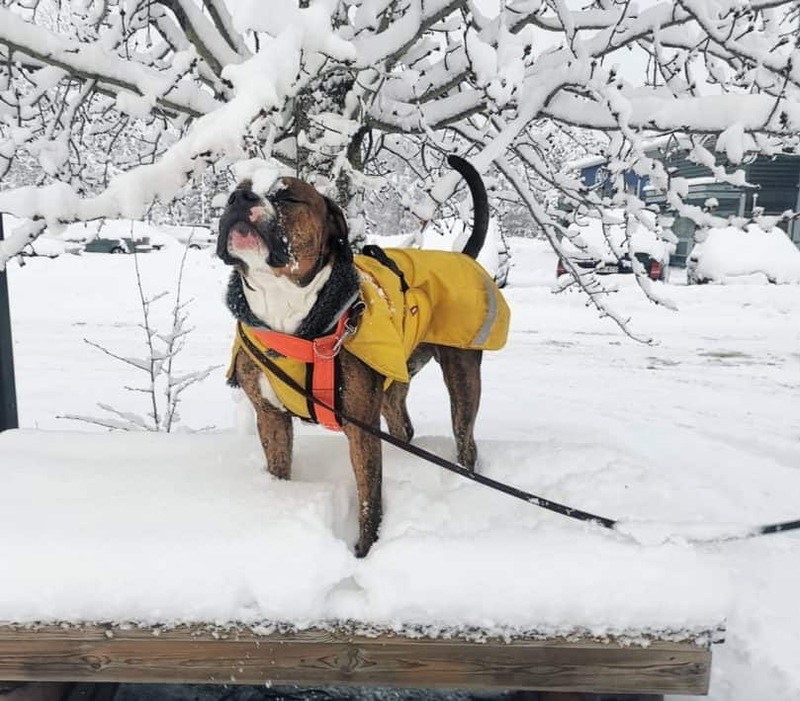 Their short, thin coats also make most American Bulldog Pitbull crosses intolerant of cold weather. Make sure to bundle up your dog if you want to go out on cold days. American bulldog Pitbull mix puppies may cost anywhere from $250 to $2000 each, depending on the puppy’s pedigree. Looking for a more affordable option? You can look for an adult American Bulldog Pitbull mix to rescue instead. There’s definitely more to the Bully Pit than meets the eye. Properly trained and socialized, these dogs are friendly and loving, particularly around kids. American Bulldog Pitbull mixes are also loyal and protective, so they won’t disappoint as guard dogs. Unfortunately, the Pitbull Bulldog mix is not the ideal pet for a first-time dog owner. This crossbreed needs a confident, strong pack leader who can provide firm, consistent guidance from puppyhood. What do you think of the American Bulldog Pitbull mix? Tell us in the comments!